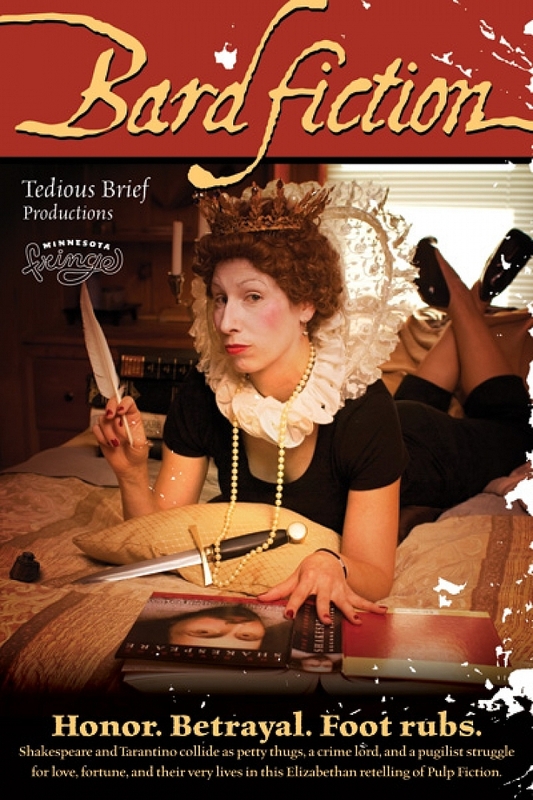 Shakespeare and Tarantino collide in this Elizabethan retelling of Pulp Fiction. The story follows the seedy characters of Tarantino’s opus, now part of London’s underworld, in seemingly disparate plotlines that merge in unexpected ways. An internet sensation when the idea first surfaced, it appeared on numerous blogs and news sites. It has captured the attention of writers from as far away as New Zealand who wanted to take part in the collaborative effort to bring this melding of high culture and pop culture to life. Produce Bard Fiction on your stage – just get in touch to request a script and/or talk about cost.